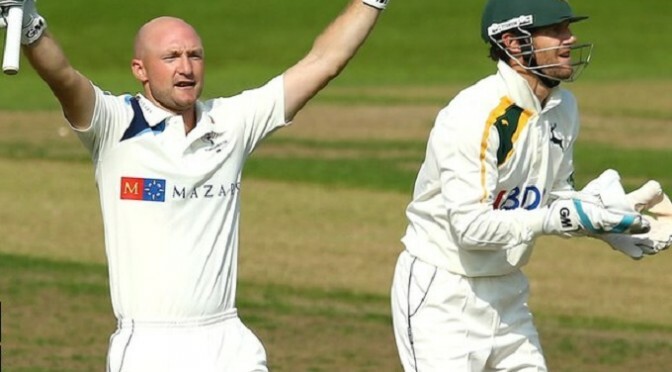 Adam Lyth’s century helped put title-chasing Yorkshire in a strong position over Nottinghamshire at Trent Bridge. Lyth (122), dropped by Chris Read off the second ball of the day, put on 176 with fellow opener Alex Lees (86). Gary Keedy (2-93) took two wickets for Notts as the visitors slightly lost their way from 271-1 to 298-4. Michael Lumb took a stunning one-handed catch to get rid of Jonny Bairstow, but Gary Ballance’s unbeaten 82 ensured that the Tykes ended strongly on 319-4. With no international commitments, both title challengers were able to call on their England players – and Yorkshire are being skippered by Joe Root, with Andrew Gale serving a two-match ban. Luke Fletcher enticed the edge of Lyth in the first over but a difficult full-length diving chance was put down by Read. In a match which secure Yorkshire the Division One title if they win, Lees and Lyth went on to see the visitors unharmed through the first session as they reached lunch on 118-0. 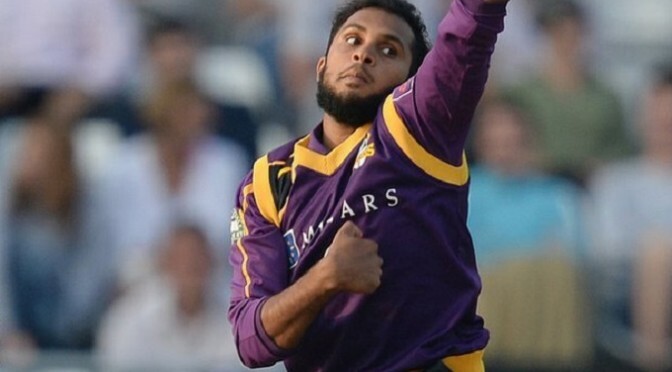 Their fourth century partnership of the season was finally broken by Keedy, who became only the second bowler to reach 500 Division One wickets when he had Lees well caught at short leg by Riki Wessels. Lyth went on to score his sixth Championship ton of the season, before being smartly taken by Keedy off his own bowling. It was the start of three quick wickets for Notts, with two of them coming with the new ball. Root was trapped leg before by Gurney for 11 and Bairstow quickly followed for only two, with Lumb’s stunning catch in the gully one of the highlights of the day for Notts, who need victory to keep their own slim title hopes alive.